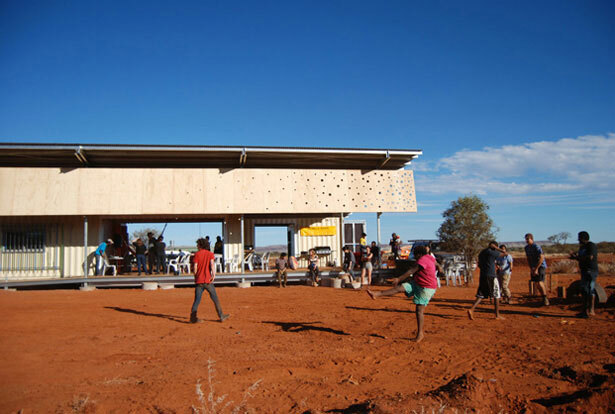 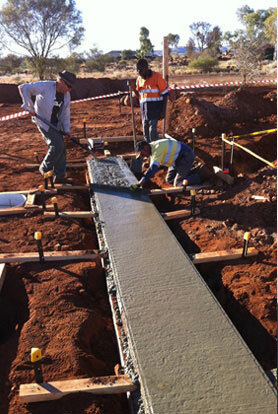 In 2012 the Bower Studio returned to Western Australia to work again with Gumala Aboriginal Corporation (GAC) in the homeland community of Bellary Springs. 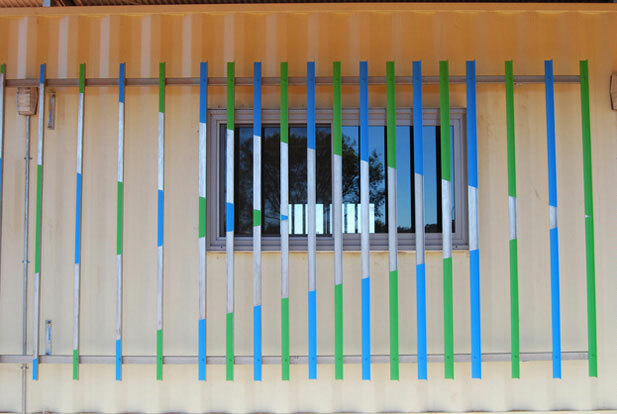 Discussion with GAC members at Bellary Springs had indicated the need for a dedicated building to host community functions. 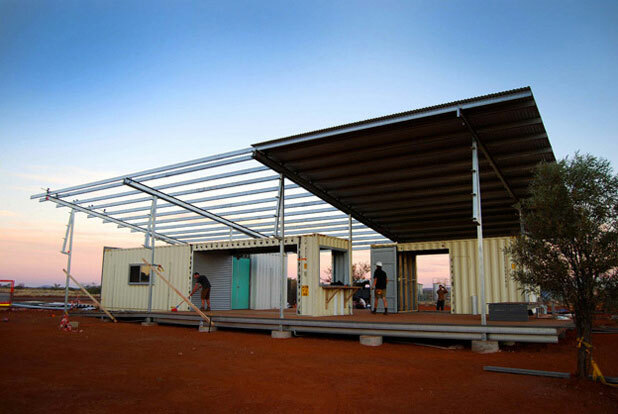 There was concern that there was no central gathering place or suitable venue for service providers to carry out health and education programs. 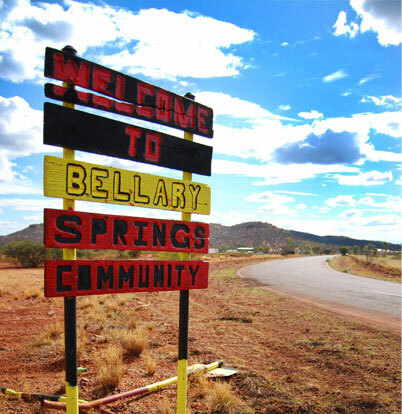 Ongoing consultation between the University of Melbourne, GAC and the Bellary Springs community members resulted in the development of the Bellary Springs Community Centre. 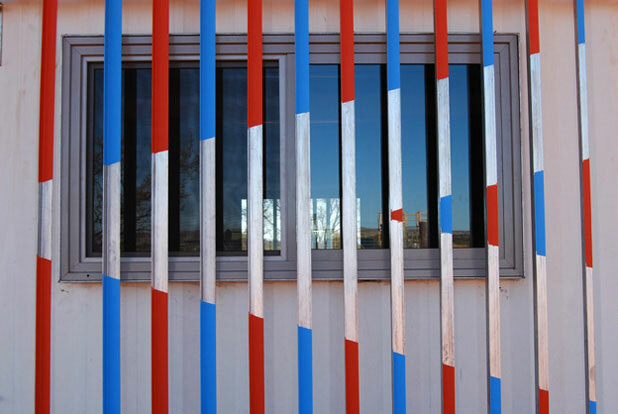 Back in Melbourne, the student cohort prepared themselves in the same manner as those before them; working on a small design project which they then built at the Creswick Campus of the University. 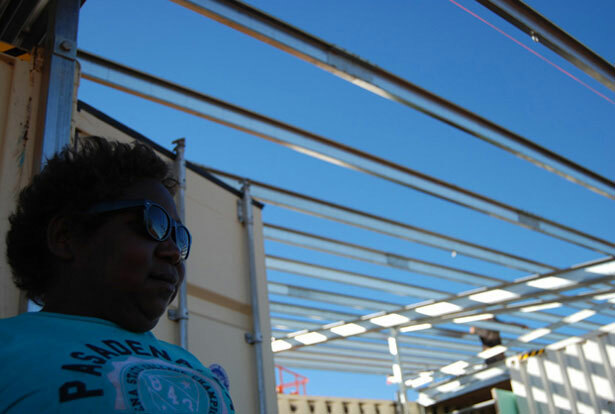 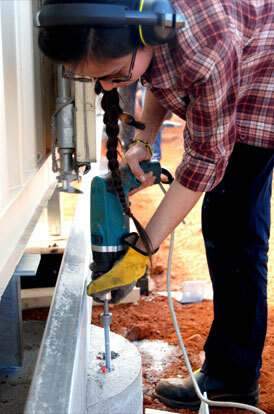 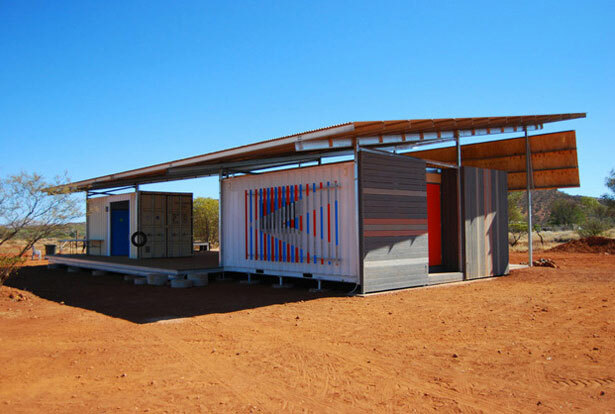 The design and construction skills developed during the test build were then augmented with research into Indigenous Housing and ‘ways of living’, informing the seminar series. 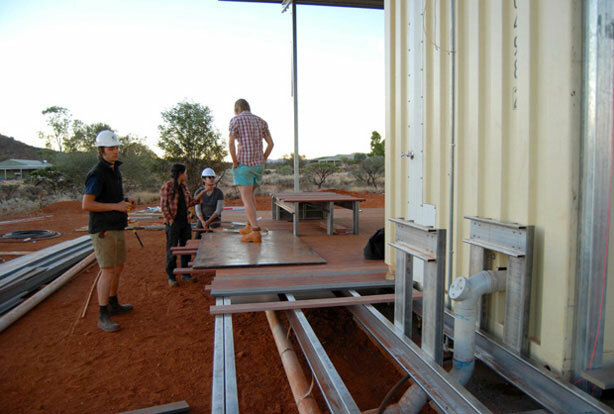 With a better understanding of this dual context the team headed west to meet the community and join with them to complete the project. 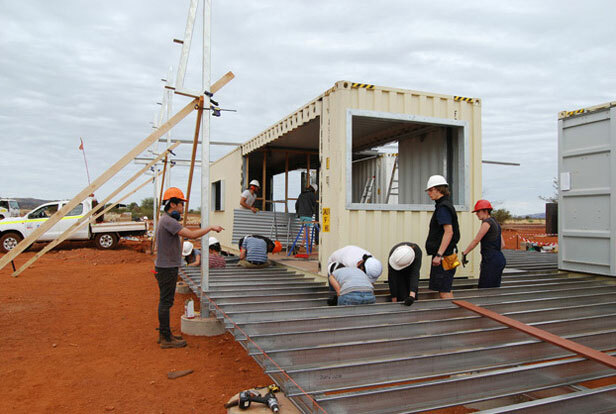 Once again, because of the large scope of the project, a handful of team members from University of Melbourne and the local Community had arrived early to coordinate and complete the site works including pouring concrete footings and locating the containers once they arrived. 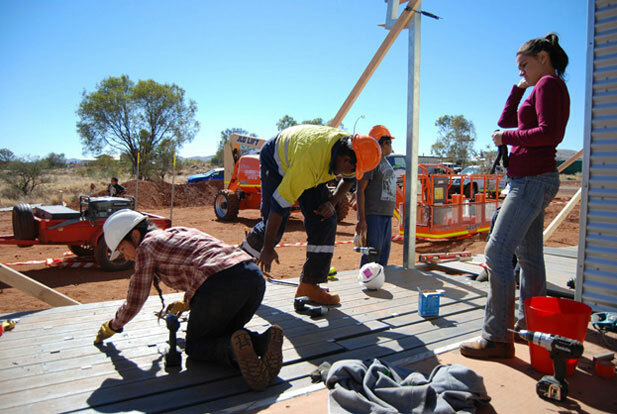 When the full team was assembled, including University of Melbourne students, staff members from Homesglen TAFE and residents of both Bellary Spring and Wakathuni, 10 days of intense building began. 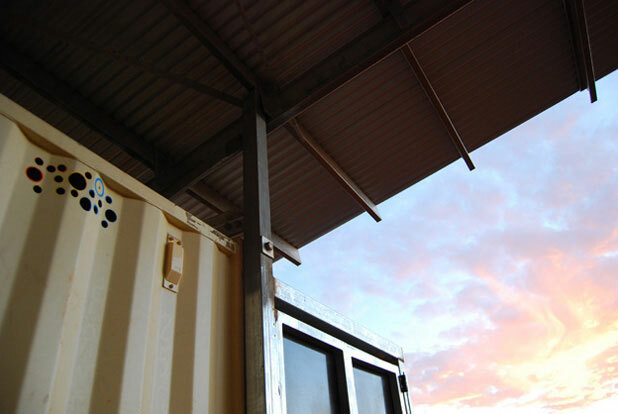 In this short period the team accomplished a mammoth task; the containers were altered with doors and other openings inserted, the large unifying roof was erected and covered, feature ply panels were fixed in place for shading, the large linking deck was framed and laid, a kitchenette, tool store, accessible toilet and shower facilities were installed and various ancillary items such as a kitchen servery, a BBQ and washing up area, a children’s play area, swings and furniture were designed and built. 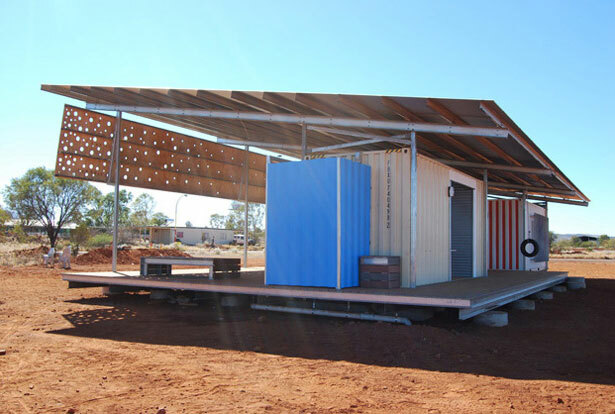 On returning to Melbourne, students were asked to develop this research by producing a suite of ancillary items which could be ‘added on’ to new or existing homes to enhance the living experience of members of the community. 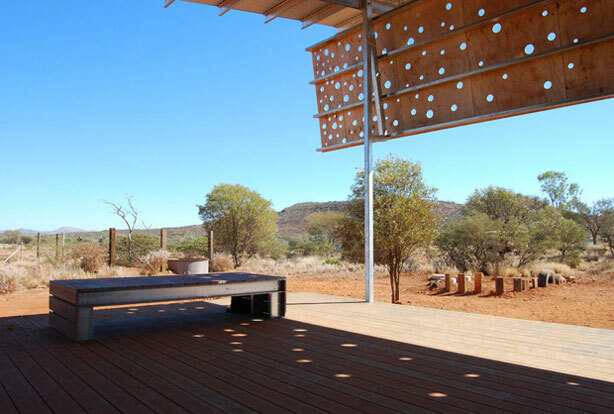 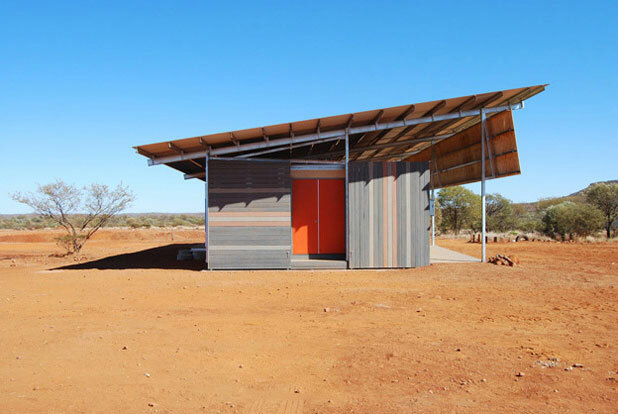 The items were to be designed and detailed with prefabrication in mind to maximise the potential for self-building in remote communities. 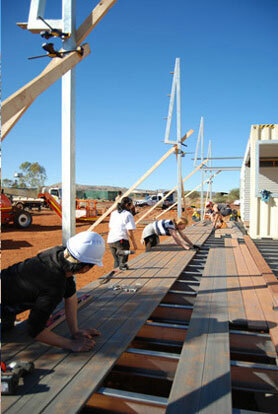 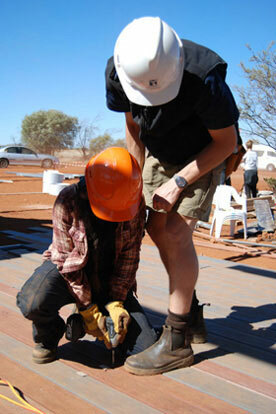 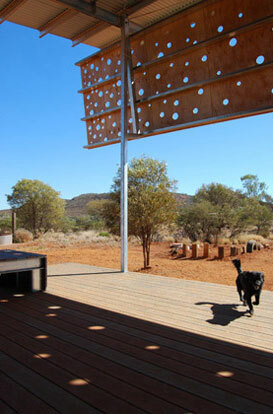 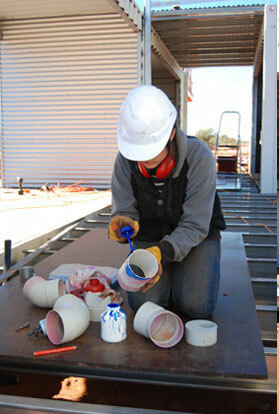 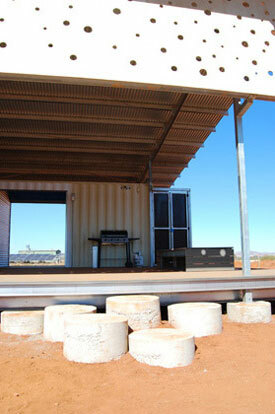 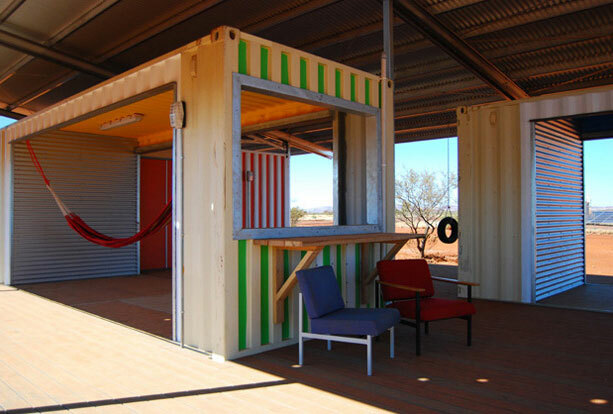 The Bower Studio was awarded the 2012 Rio Tinto award for excellence in Indigenous Higher Education. 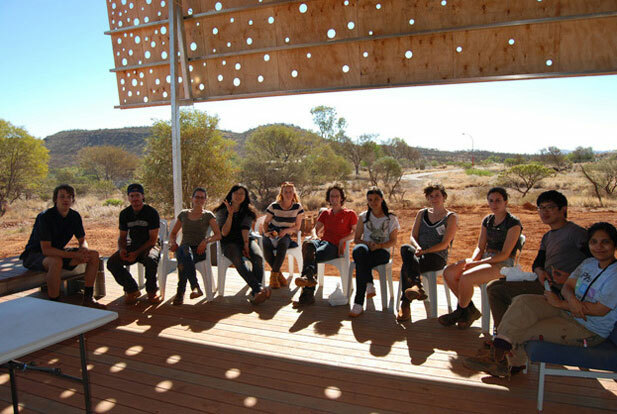 Bower Studio thanks the people of Bellary Springs for welcoming the team into their community.